Amnesty International has scolded the US-led coalition in Mosul for misplaced and excessive airstrikes, urging it to publicly admit its failure to protect civilian lives. The NGO is proposing to establish a commission to look into reported violations. 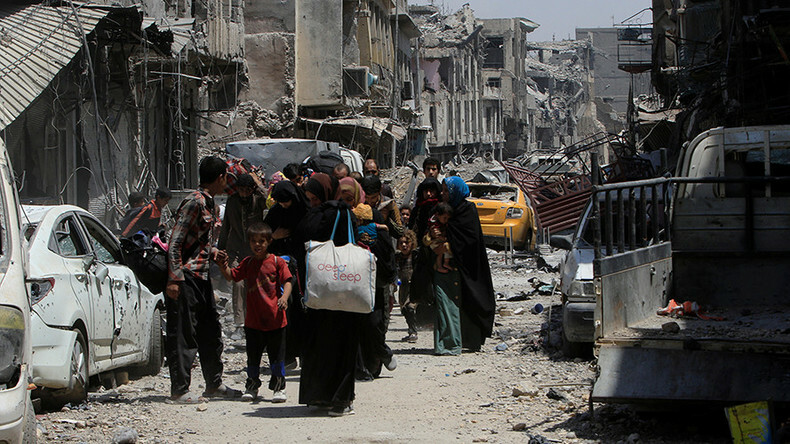 In a new 50-page report published Tuesday, the human rights group sheds light on the scale of the loss of civilian life and suffering that the people of Mosul have had to endure during the offensive to recapture the city from Islamic State (IS, formerly ISIS, ISIL) terrorists. The report draws on expert data and information provided by local residents. 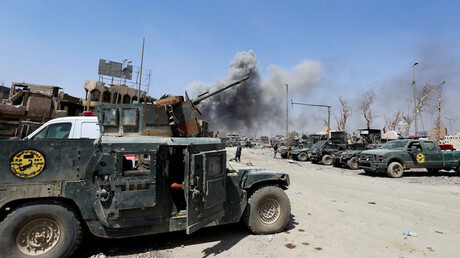 At least 105 of the victims died in a US airstrike on western Mosul’s al-Jadida district on March 17, which the coalition mounted “to neutralize two IS snipers,” the report said. The often disproportionate and imprecise use of deadly force by the international coalition fighting terrorists in Mosul has prompted major criticism from Amnesty. “Iraqi and coalition forces failed to take adequate measures to protect civilians, instead subjecting them to a terrifying barrage of fire from weapons that should never be used in densely populated civilian areas,” Lynn Maalouf, Director of Research for the Middle East at Amnesty International, said in a statement on Tuesday. 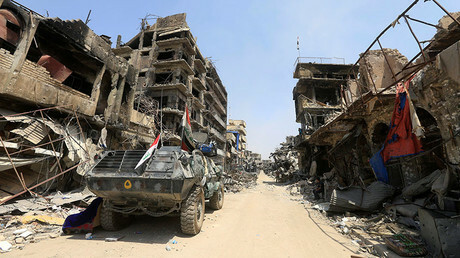 Referring to an array of violations of international law, committed by IS, such as forceful displacements, indiscriminate mass killings and using civilians as human shields, Maalouf argued that the terrorist atrocities do not excuse the Iraqi and US military from their part of obligations under the law. “IS’s use of people as human shields does not lessen the legal obligation of pro-government forces to protect civilians. Military planners should have taken extra care in the manner in which they used their weapons to ensure that these attacks were not unlawful,” Maloof said. To uncover the truth about the scale of the killings and those responsible for the loss civilian life, “an independent commission must immediately be established, tasked with ensuring that any instances where there is credible evidence that violations of international law took place, effective investigations are carried out, and the findings made public,” Maalouf said. Amnesty International’s UK division cast doubt on the UK’s Ministry of Defense claims that its Air Force has not incurred any civilian casualties while conducting over 700 airstrikes in and around Mosul. The scathing report and the recommendations to be introduced come in the wake of Iraqi Prime Minister Minister Haider al-Abadi’s arrival in Mosul on Sunday to congratulate the troops there with a “great victory” over the ISIS militants. While Iraqi forces continue to clear out pockets in the western part of the city where small groups of jihadists are holing up, the Iraqi government expects the liberation to be a matter of time. 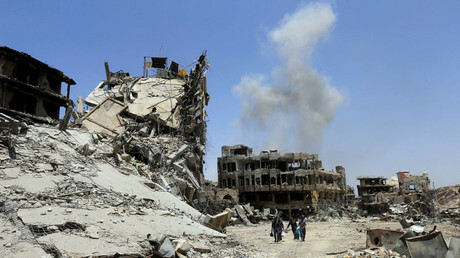 In the course of the lingering offensive to take the city from terrorists, launched in October last year, over 8,000 civilians are estimated by the United Nations to have been killed or wounded. Around 915,000 people have been displaced with the majority unable to return any time soon as their homes were completely destroyed or severely damaged. It is estimated that 16 out of 44 Mosul’s residential districts sustained heavy damage and 22 were moderately damaged. Mosul resident Abu Akhmad, a jeweler, told RT Arabic how IS put civilians in extreme peril. Akhmad said that as soon as IS militants put down roots in the city, they confiscated his home and used his and other civilians’ families as human shields. “Imagine, they come to you and tell you: “You, give us your car!” And you have to give it to them. Not to mention women and everything else. There were about nine to eleven terrorists there. They would enter houses, come and go,” Akhmad told RT, adding the majority of those who would engage in violence toward civilians appeared to be foreign fighters. Akhmad said that his house was part of a network of tunnels used by jihadists to escape Iraqi forces on the ground. As a result, his house was severely damaged and he is now trying to repair it.